with Coach /Consultant Jen Butler, MEd. that goes along with them are what get in the way of what we are truly meant to achieve. If you’re ready to ditch the excuses and learn how you can be a dental BUSINESS badass, join the discussion. 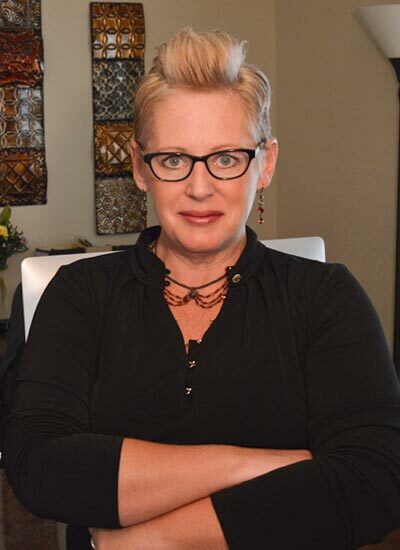 Jen Butler , MEd is the CEO and founder of JB Partners, LLC. Her passion is working with dentists who have been held back by stress, fear and frustration and are committed to improving their business, leadership and stress management toolbox. Jen is dedicated to supporting dentist s through motivational talks that provide step-by-step strategies customized to the unique needs of their practices. She also provides them with onsite visits, and on demand phone counseling and giving them competent guidance in practice management, leadership, associate doctor training, team synergy and stress management. Michael Port “Book Yourself Solid” Certified Consultant. You are invited to “From Business Cupcake to Business Badass” with badass Dental Business Coach and Consultant Jen Butler, MEd. Join us as expert business consultant and dental coach Jen Butler, MEd discusses the hard truths about why dentists and their practices don’t succeed. Jen believes that the lies we tell ourselves and the bullsh!t excuses that go es along with them are what get in the way of what we are truly meant to achieve. If you’re ready to ditch the excuses and learn how you can be a dental badass, join the discussion.